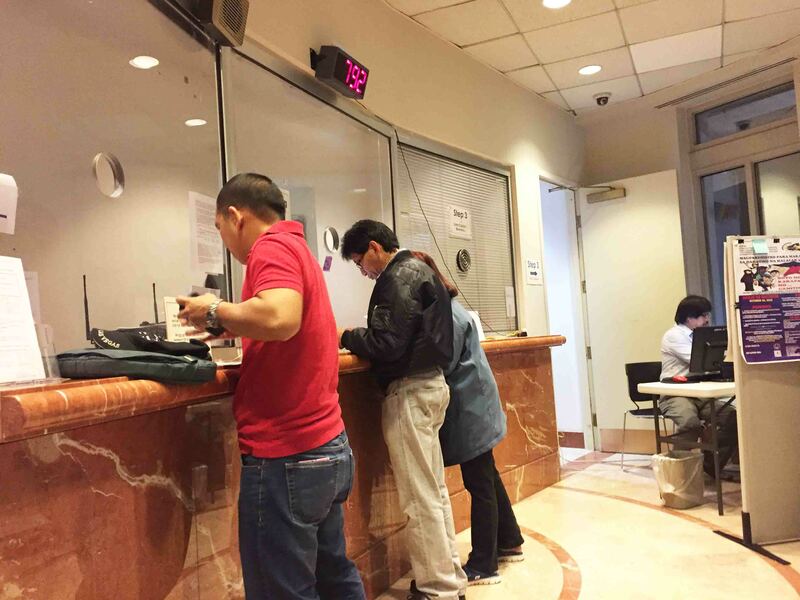 Home / United States of America / Passport Renewal in Philippine Embassy in Washington, D.C.
One of the major requirements if you are traveling abroad is your passport. But what if your passport is about to expire and you are thousand miles away from your country. What are you going to do? Well, that is not a problem since there are embassies or consulates of your country overseas. 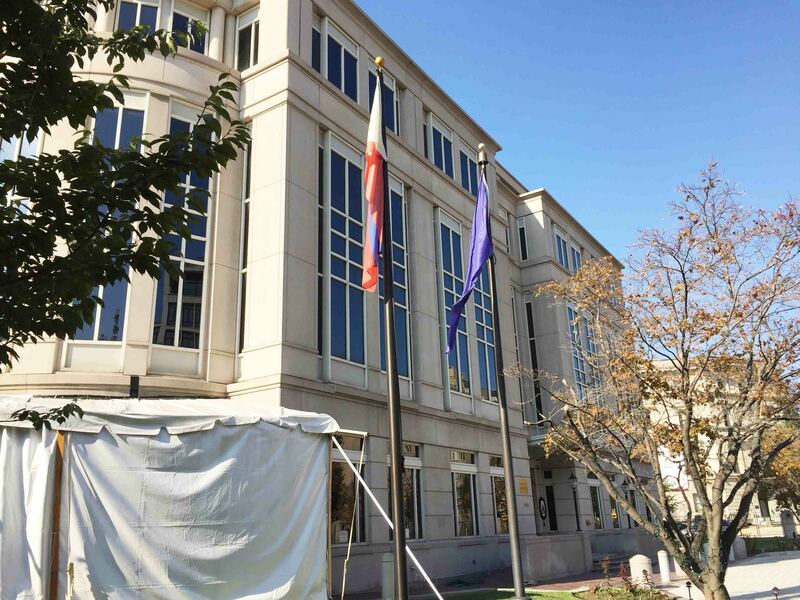 If you are a Filipino and you happened to be in the United States, not to worry since there are consulates scattered all over the states of the US and the embassy which is in the capital, Washington DC. 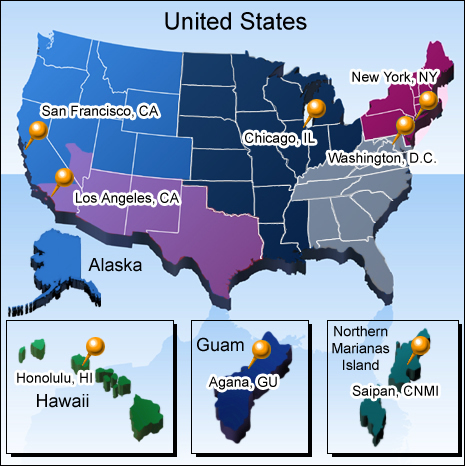 Every consulate has a jurisdiction of what state the consular office is serving. Here are the list of the consulates and embassy and their respective consular jurisdictions. Since I live in Ohio and I’m under the Philippine Consulate General in Chicago, Illinois jurisdiction. So, I need to renew my passport there. But I have thought why go to Chicago when I can do it in Washington D.C. and I also have a planned trip going there. So, I called the embassy in Washington D.C. if I could do it there instead of doing it in Chicago and they said it is OK as long as I have all the requirements needed for passport renewal. 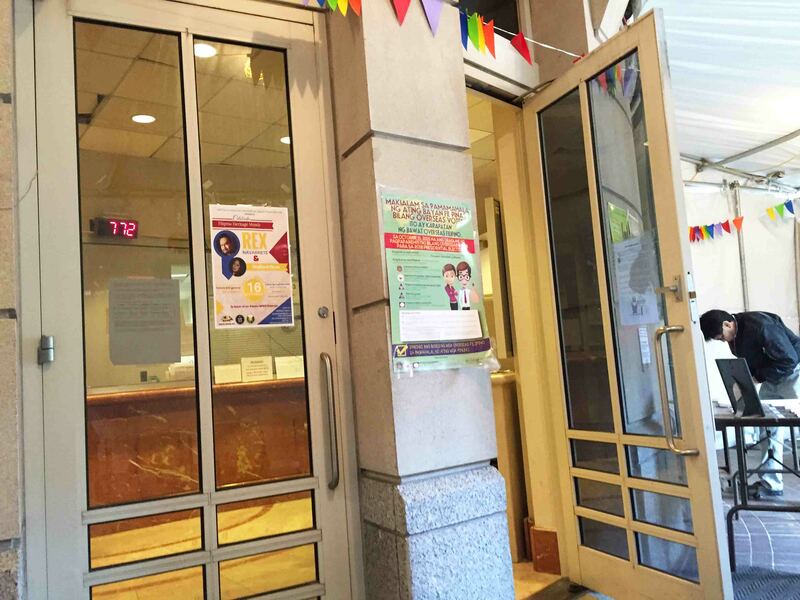 Hence, I did my passport renewal in Philippine Embassy in Washington DC. The list of requirements is in the Philippine embassy website, visit their site here. Duly-accomplished passport application form, typed or printed legibly in black or blue ink. You can also download the forms and print it from their website. Photocopy of any valid identification card where the middle name is fully spelled out, such as state ID, driver’s license, Birth Certificate, Marriage Certificate, or Baptismal Certificate, if applicant’s last passport is the brown one. Passport fee of $60.00 (non-refundable), payable in cash or money order made payable to “Embassy of the Philippines” (or “Philippine Consulate General”, if application is made at one of the Philippine Consulates General in the U.S.). Personal checks and credit cards are not accepted. There is no need for appointment since applicants are served on a walk-in basis. I got there by 0700H and there were only two people on queue. The embassy was still close so, we were just waiting outside. The entire passport renewal procedure took about less than an hour. The only sad thing is the Philippine embassy in Washington D.C is having a big renovation, making the place a little bit messy. The counters were small, the waiting area looked cheap and doesn’t look appealing at all as an embassy, the employees, however, were friendly and accommodating except that employee who is taking the passport photo. She was rude, assuming and bossy, but I just ignored her. When the door was opened, you need to get a number. The number is on the first counter. 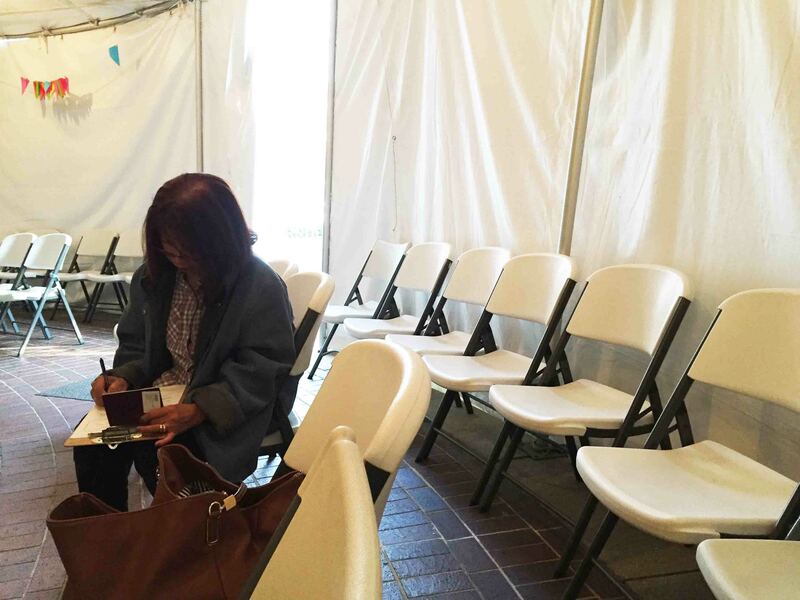 After you have your number, just sit down in the waiting area. While waiting for your number to be called, you can write or fillout the form if you haven’t done it yet or just watch TV. When your number is called or flashed on the monitor. Proceed to Window 1 which is for checking your requirements. Not to worry if you don’t have a copy since they have a photocopier. Once you have all the requirements needed, they will processed it in Window 2. Then, your application will go to the Cashier. Be ready with your money. After paying the fee, you wait for the employee to call you for your passport photo and biometrics such as fingerprinting and signature. Once you are done, she will hand out a copy of the receipt along with the steps for you to verify if your passport is ready or mailed. In the end, it is not a big concern if you ran out of time to renew your passport and you are still traveling because in every nation, there is a big possibility that your country has an embassy or consulate. All you have to do is research with the help of the worldwide web and ask people. Through those ways, you get to meet friends online and locals and travelers alike while touring. That is how my experience went when I had my passport renewal in The District. Hope you will have an easy-breezy application. The DistrictUnited States of America, Washington, D.C.